Jajpur is a historic place of pilgrimage is located at a distance of 92Kms from Cuttack. Once upon a time Jajpur was the capital of Kalinga kingdom and had achieved the pinnacle of glory in archeological excellence. Jajpur is honoured for its natural resources, mines and industries. Situated on the bank of river Baitarani it has the sacred shrine of Goddess Biraja (Durga), Sveta Baraha (incarnation of Lord Vishnu as the white boar), Sapta Matruka and a host of other shrines. It is famous for Saktipitha of Goddess Biraja. Ashokajhar, Chandikhol, Chhatia, Gokarnika, Kuransa, Mahavinayak, Patharajpur, Ratnagiri, Udaygiri, Satyapira, Singhapur, Vyas Sarobar and Baruneswar Pitha are some of the visiting places of this district. 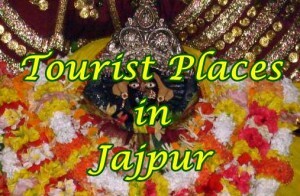 Give Responses for "Famous Tourist Spots in Jajpur"